Lathes & Other machine tools and how to use them! 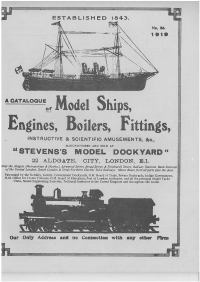 A catalogue of model ships, engines, boilers, fittings, instructive & scientific amusements manafactured and sold at stevens's model dockyard. VAT No - 328 0133 89. Registration No - 04245481.